Develop your abstract mind with Intriguing Puzzles. In this, one among quite a number of good puzzle books on the market, my focus has been on presenting puzzles in the form of short stories or anecdotes, speckled with some occasional humor and irony. This to avoid dry presentations of the basic facts of a puzzle, which might be considered dull by some people, although preferred by many others. Intriguing Puzzles Book 1 containing 50 fascinating puzzles selected from Ken's Blog (www.blogs.euni.org) is now available in the e-book formats mobi and epub. Intriguing Puzzles Book 1 includes hints and complete solutions for each of the 50 puzzles as well as an appendix replete with specific information and procedures on how to solve them. 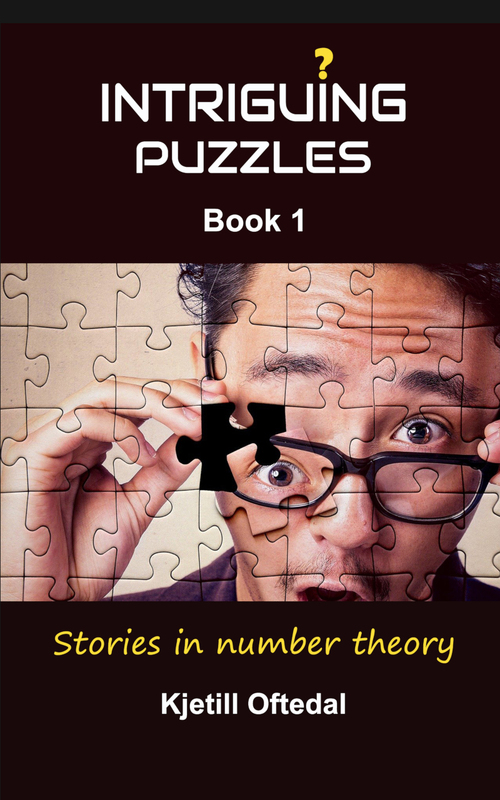 Intriguing Puzzles Book 1 consists of seven puzzles, hints and solutions chapters, respectively, along with an appendix containing general and specific mathematical information that will be useful in solving the puzzles. There are about 110 pages, depending on the format. The price is USD 6.99.